If you click over to my other blog – SoftFlexGirl, you can enter to win a free copy of Show Your Colors and a Soft Flex Beading Wire Trio Pack of your choice. You have to enter by March 1st! 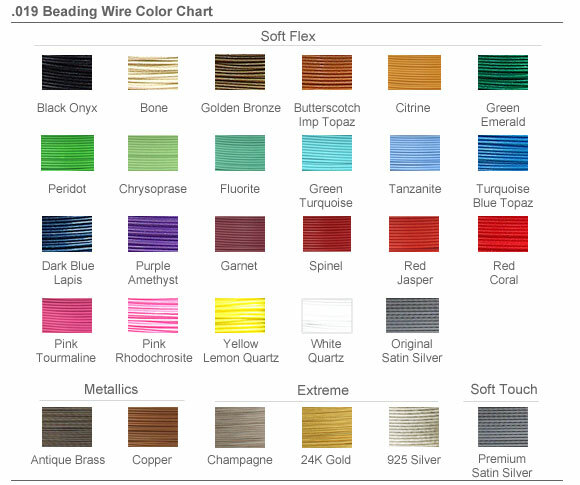 All that you need to do is leave a comment with your favorite color of beading wire (colors shown above). Good luck!